“God’s Word Made Plain” heard Monday through Friday at 5:00 p.m. is an outreach ministry of Big Valley Grace Community Church. “God’s Word Made Plain” a listener supported ministry, began broadcasting on KCIV in the summer of 1989. Since then God has used this ministry to impact the lives of thousands of people in the Central Valley. The main speaker is Senior Pastor Rick Countryman. He is an outstanding teacher who teaches from the heart and his life experiences to help make God’s Word plain and practical. 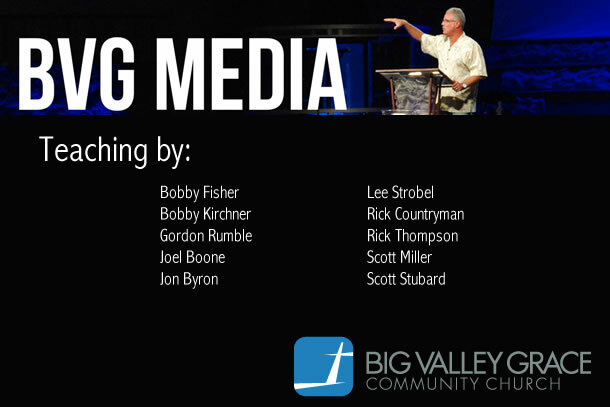 To support this ministry write: Big Valley Grace Community Church, 4040 Tully Road, Modesto, CA 95356 or call (800) 947-1695 and be sure to let them know you listen on Bott Radio Network.